Performing in Toronto [September 21, 2011]. In Toronto, Canada. HD Wallpaper and background images in the Coldplay club tagged: coldplay on stage performing in toronto september 21 2011 toronto canada. 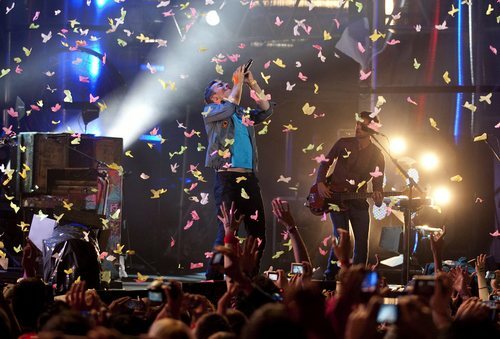 This Coldplay photo contains concerto. There might also be chitarrista.